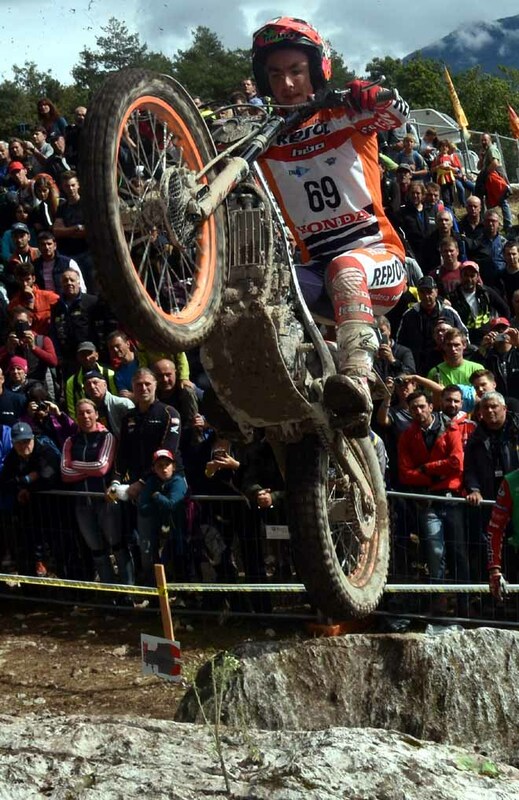 Toni Bou - Repsol Honda signed off on top at TrialGP Italy, the eighth and final round of the 2017 FIM Trial World Championship, with a dominant victory over fellow Spaniard Adam Raga - TRRS at the Metzeler Offroad Park at Arco di Trento. 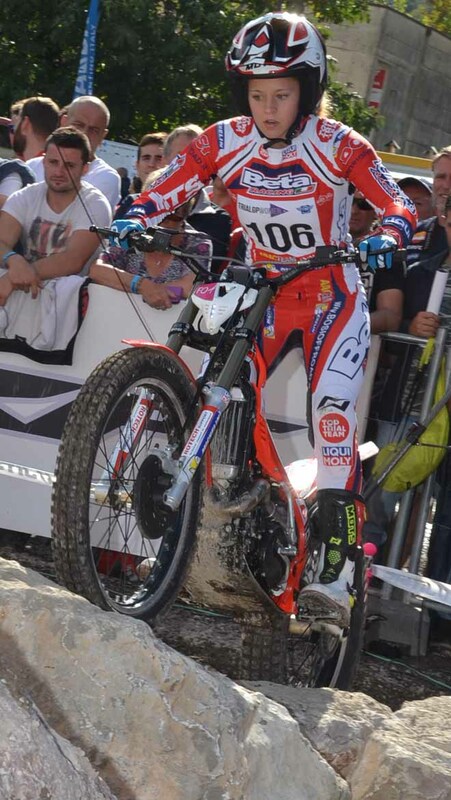 There was a shock in TrialGP Women as Germany's Theresa Bauml - Beta handed Emma Bristow - Sherco her first top-flight defeat since May 2015, but second place was still easily good enough for the British star to take her fourth consecutive FIM World crown by a large fifteen-point margin. 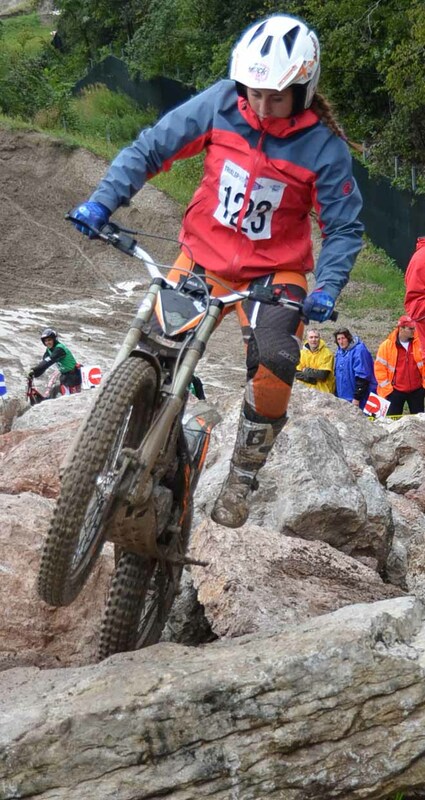 Heavy overnight rain continued into the morning forcing organisers to make a number of small alterations to the compact course that was made up of sections plotted over largely natural terrain supplemented by imposing strategically-placed boulders. 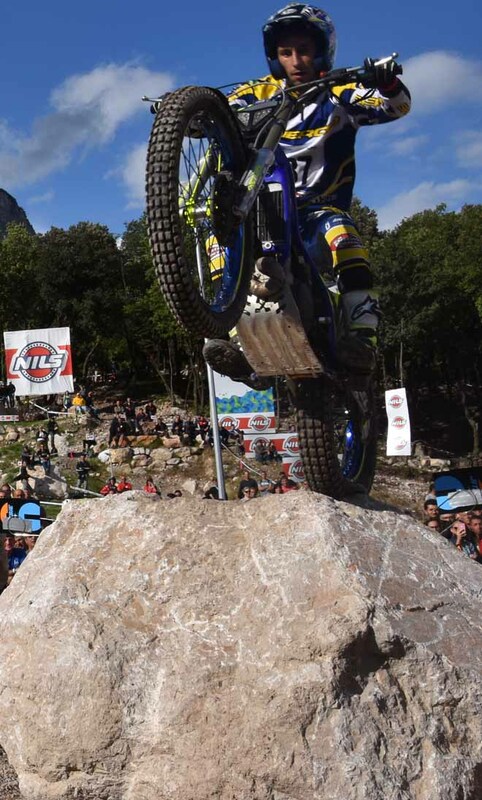 Bou, who last weekend secured his eleventh straight title, was in a class of his own on the opening lap. 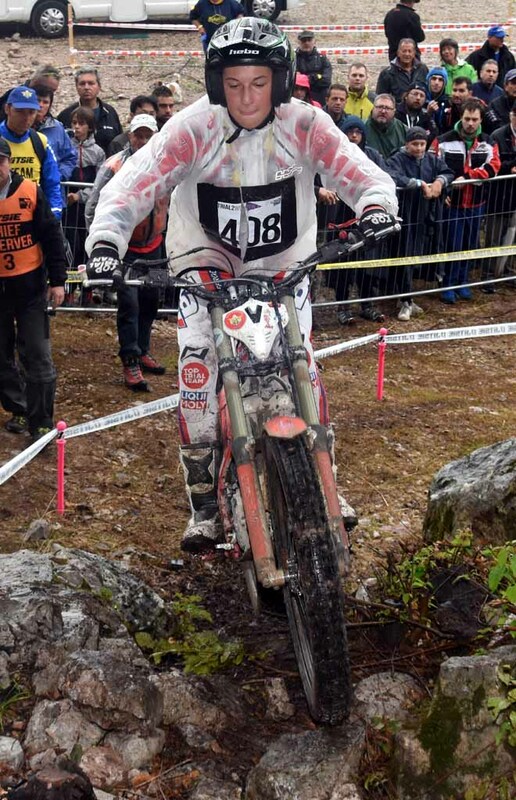 With grip hard to find as mud was dragged onto the rocks his score of twelve was half that of Raga, but he took his foot off the gas on lap two and a few stray dabs as the sections dried dramatically allowed his fellow Spaniard to reduce the deficit to nine marks with a stunning second-lap total of just three. 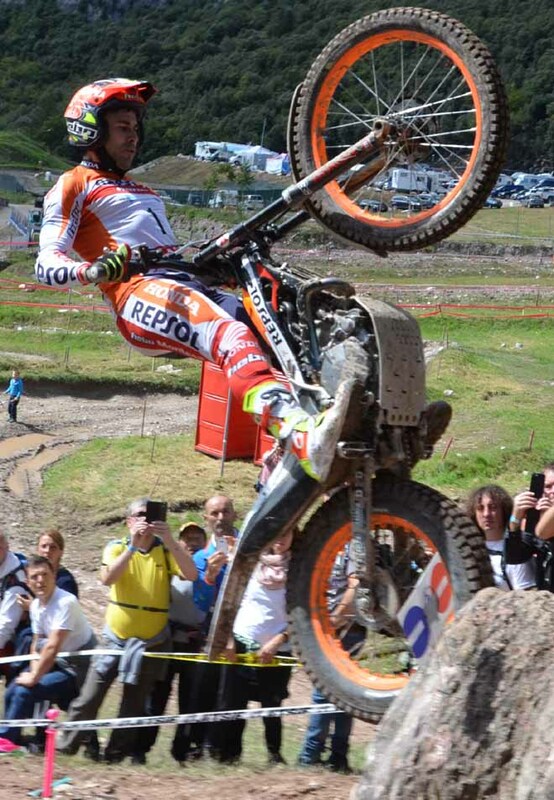 "This victory is very important for me after finishing second in the Czech Republic," says Bou. "I'd like to say thank you to the team because they have worked very hard for me." 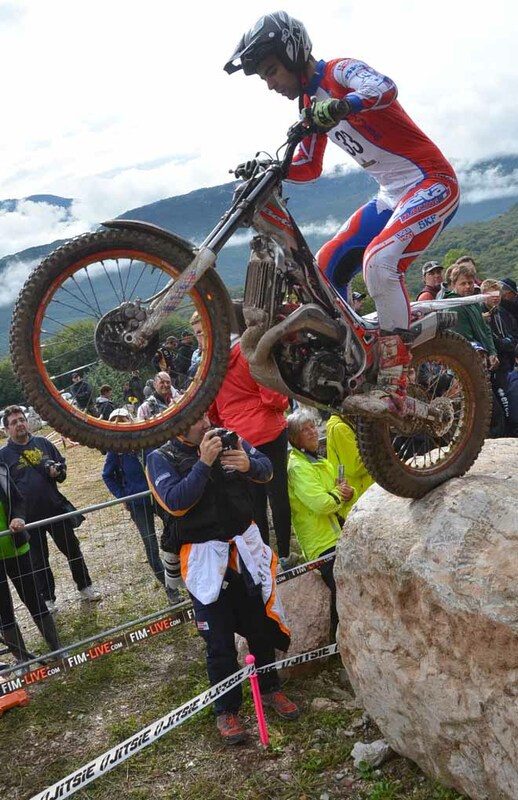 Jaime Busto - Repsol Honda made it an all-Spanish podium for the fourth time in a row and claimed third in the championship with an impressive second-lap total of five leaving him three marks behind Raga and pulling him nine clear of fourth-placed James Dabill - Gas Gas from Britain. 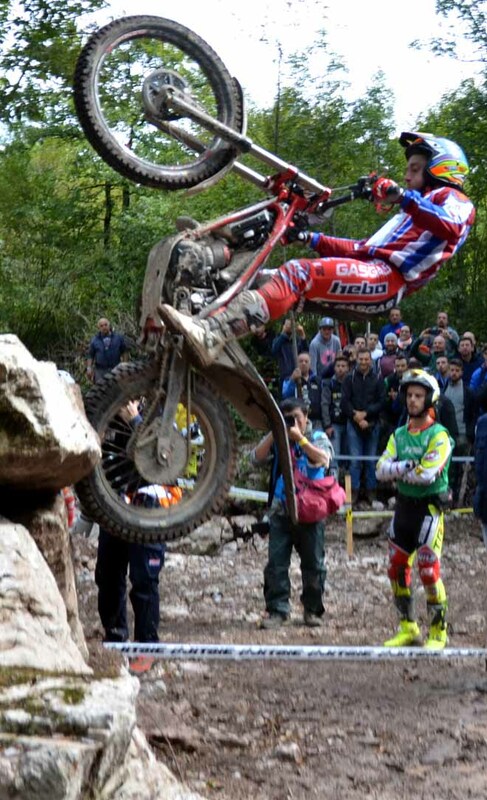 Spain's Jeroni Fajardo - Vertigo took fifth a further nine marks behind Dabill and three ahead of Germany's Franz Kadlec - Gas Gas who recorded his best finish of the series in sixth. Home hero Matteo Grattarola - Gas Gas gave a big turn-out of Italian fans something to cheer about with his seventh-placed finish matching his season's best performance as Spain's Jorge Casales - Beta, his compatriot Albert Cabestany - Sherco and Japan's Takahisa Fujinami - Repsol Honda rounded out the top ten. 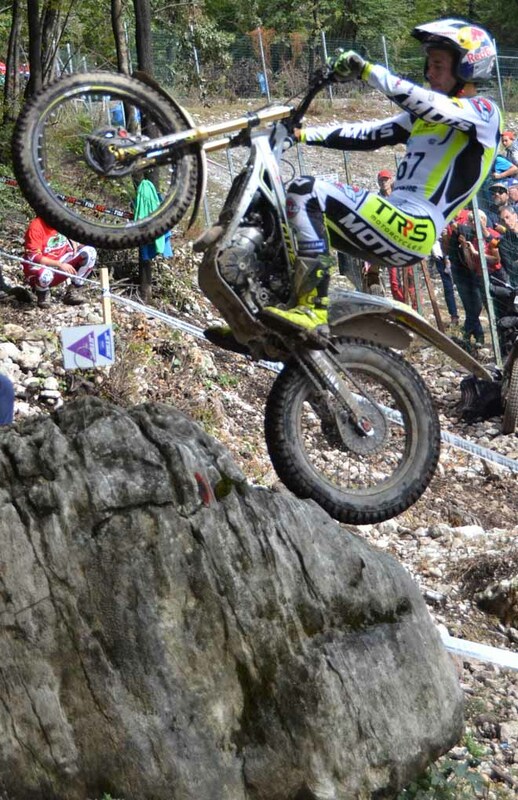 Bristow started TrialGP Italy with her sights set on another maximum points haul and after lap one she seemed to be on-course to keep her remarkable win-streak going with a one-mark lead from Bauml. However, a maximum on section two second time around put Bristow almost immediately on the back foot and following a three just two sections later the damage was done. Despite a faultless eleven-section run-in to the finish Bristow was left watching helplessly as the German matched her clean for clean to win by four marks. 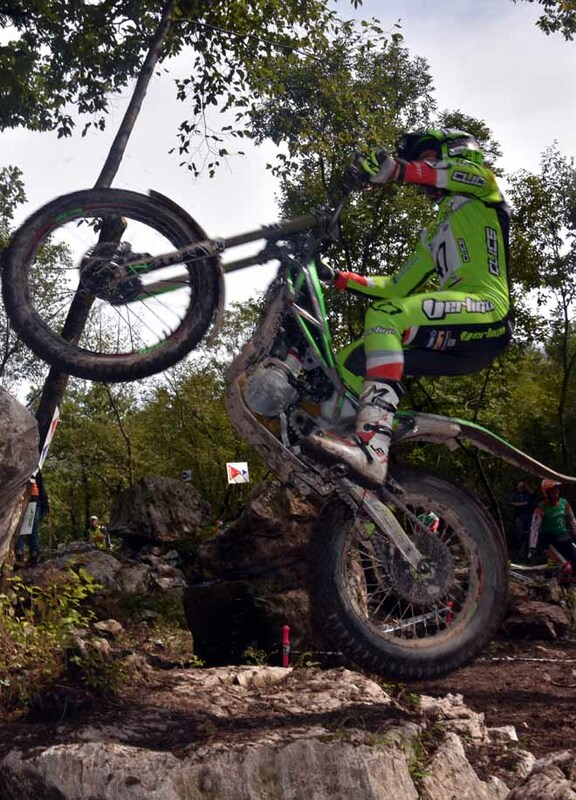 Spain's Sandra Gomez - Gas Gas ended the day two marks behind Bristow in third to claim second in the title fight ahead of Bauml. 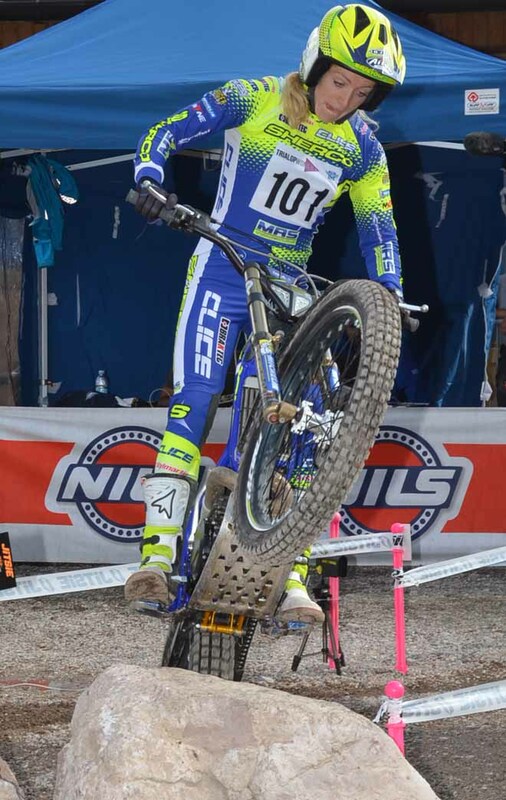 Britain's Jess Brown - Scorpa took her best finish of the championship in fourth after losing a tie-break with Gomez before an eleven-mark gap back to fifth-placed Huldeborg Barkved - Sherco from Norway. 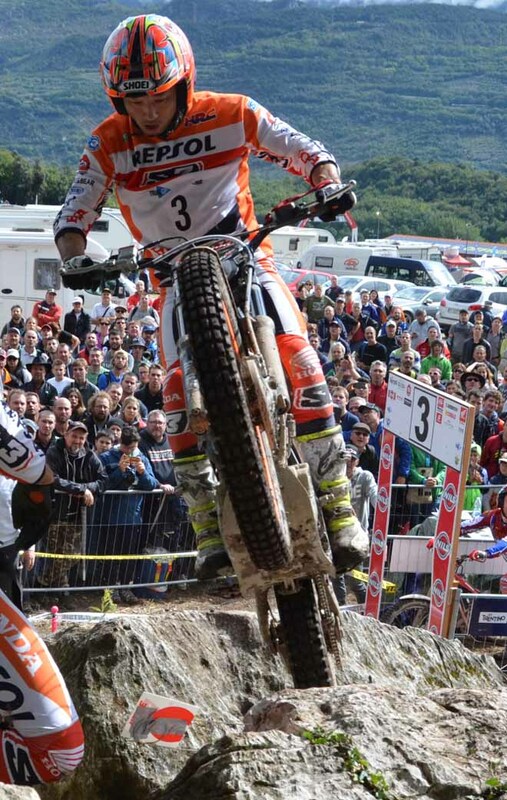 "My first lap was good and the second lap was even better, but I didn't expect to win," says Bauml. 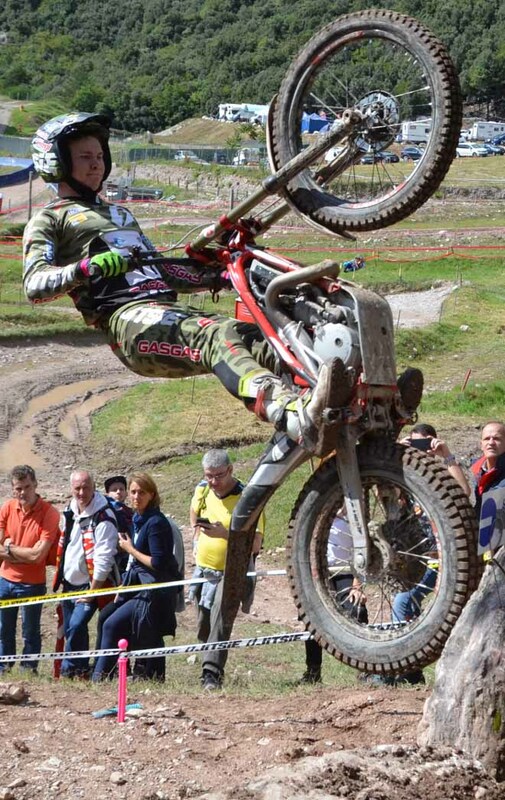 "My goal this year was to finish in the top three in the championship and I have so I'm very happy." 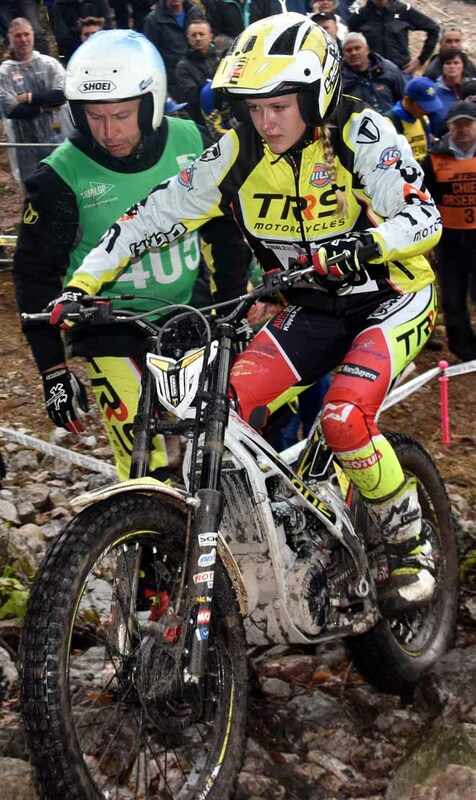 Iwan Roberts - Beta wrote himself into the record books by becoming the first ever FIM Trial2 World Champion with an assured performance, although after a fantastic first lap total of just five nerves appeared to get the better of him on lap two. 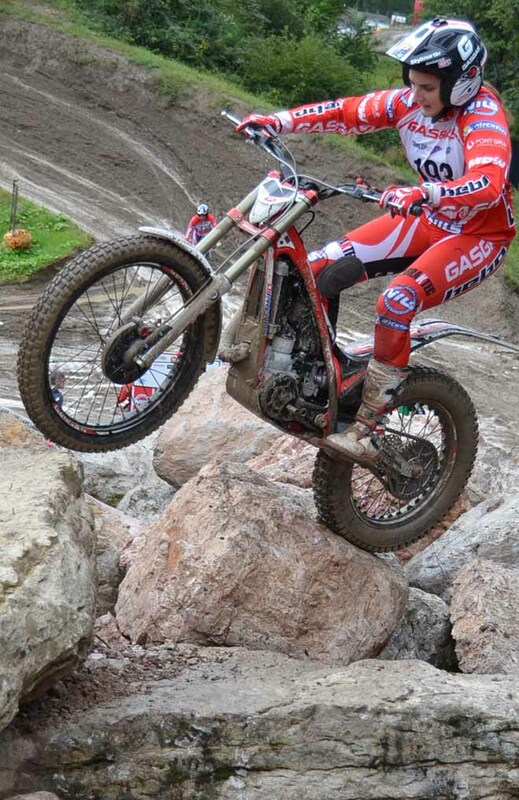 Starting the second half of the Trial with a six-mark lead over Toby Martyn - Vertigo, Roberts then picked up two maximums in a row which dropped him to second, four marks behind his fellow Brit. 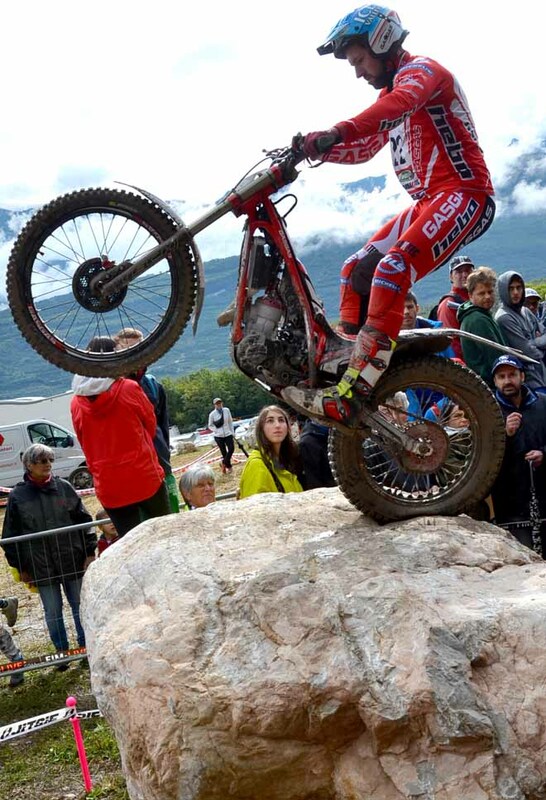 Spain's Gabriel Marcelli - Montesa consolidated his second place in the series with third on the day a further three marks adrift and his compatriot Francesc Moret - Montesa, despite finishing sixth, managed to cling onto third in the championship by two points from Martyn. 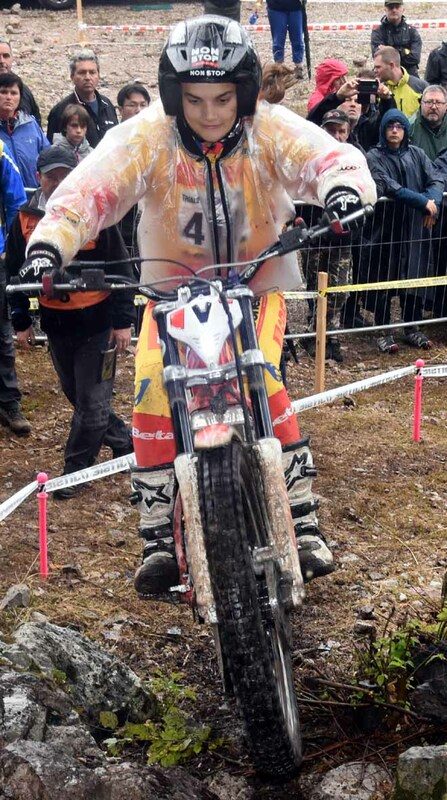 In Trial2 Women Jule Steinert - TRRS from Germany took her first win of the campaign with an eight-mark victory, but it was Spain's Neus Murcia - Beta who clinched the title by six points after finishing third on the day behind Germany's Sophia Ter Jung - Beta. 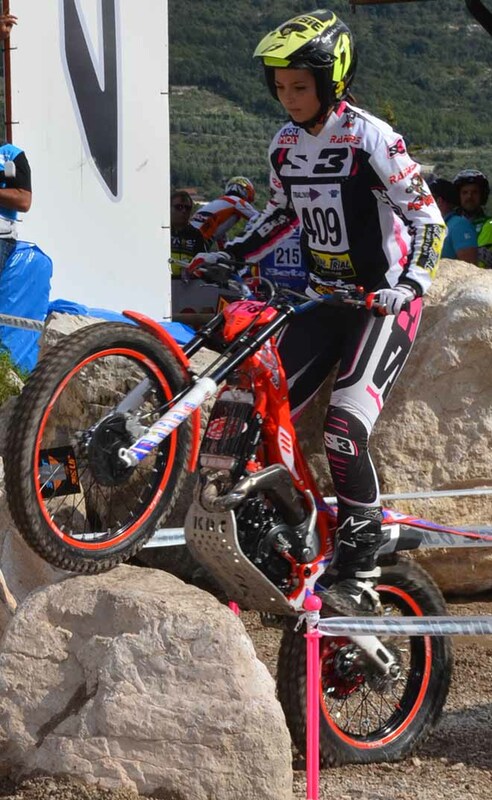 Spain's Carla Caballe - Gas Gas, who had been second heading into the final round, dropped to third in the standings behind Steinert following her fifth-placed finish.